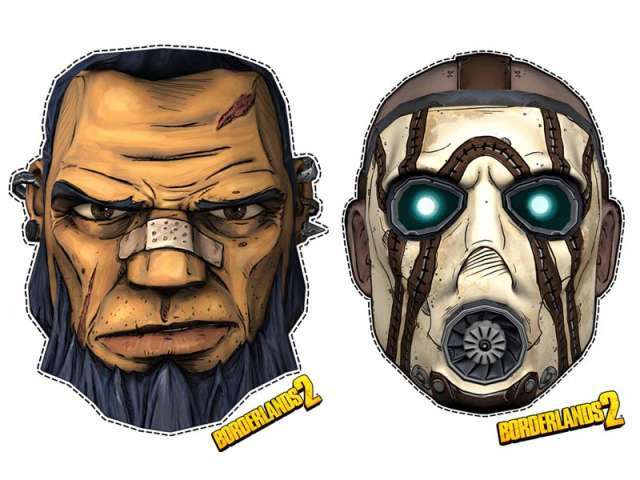 The Borderlands 2 video game is scheduled to be released later this year and Gearbox Software, the developer of the game, has released some promotional masks. On the left is a dwarf named Salvador who is a new character in the game. On the right is the familiar psycho bandit. 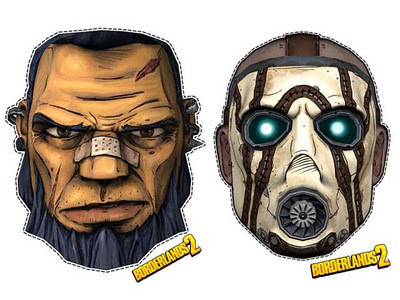 High res PDF files for three different masks may be downloaded at the Gearbox Software.